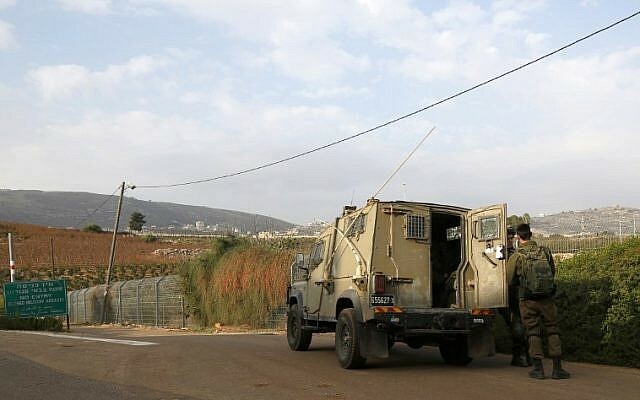 Israelis residing near the border with Lebanon said they were trying to maintain a sense of normalcy Tuesday morning, as Israeli forces announced the launch of a major operation to destroy cross-border tunnels and declared the area around one town a closed military zone. 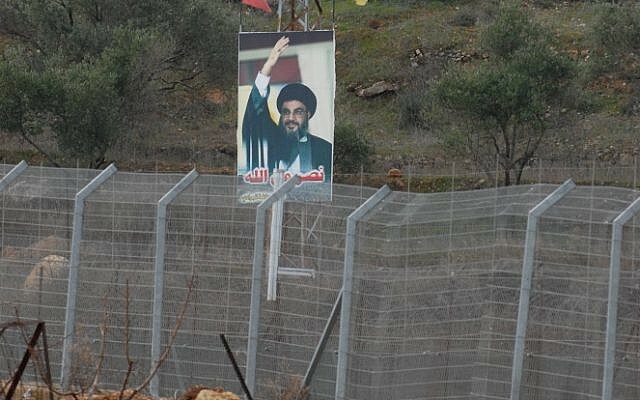 Even as security officials addressed concerns that the Hezbollah terror group may try to respond to the operation with a cross-border attack, authorities in the north counseled residents to continue going about their day-to-day lives. David Azoulay, the mayor of Metulla, a border town of some 1,600 people that sits within the declared military zone, said that life was continuing as usual and that the only change was that some farmers with lands close to the frontier were told not to work in their orchards, the Ynet news website reported. The Metulla regional council opened a situation room but noted it is not fully manned at the moment. All of the room’s staff have been updated about the situation and are on standby if needed, Ynet said. Menachem Horowitz, a popular consumer affairs journalist who lives in the northern city of Kiryat Shmona, also said life was continuing as normal. “Nothing is happening on Lebanese soil, northerners can continue to go about their completely peaceful lives,” he told Army Radio. The army said the operation was restricted to Israeli territory for now, but was expected to expand in coming days, hinting that soldiers may cross the fence separating Israel from Lebanon. Israeli security chiefs were holding security assessments throughout the day in order to predict Hezbollah’s reaction to the IDF operation, but most analysts saw the chances of the operation sparking a major escalation in violence as slim. 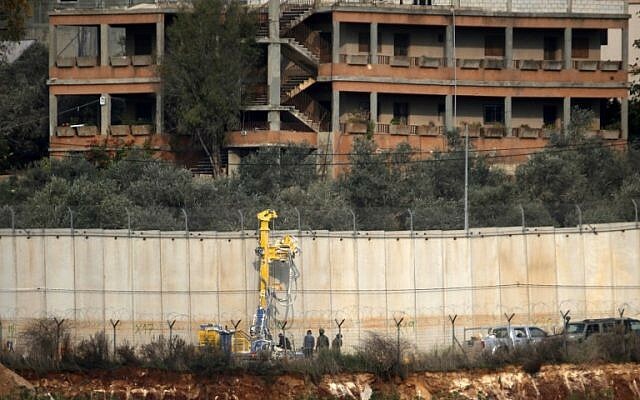 The operation was launched after years of complaints from local residents that Hezbollah, a Lebanese terror group backed by Iran, could be digging tunnels under the border, though the army largely dismissed the fears. “For years I warned that there are tunnels at the northern border and it was well known, and I really am not surprised,” Gadi Shabtai from Kibbutz Rosh Hanikra told the Walla news website. “It is clear to me that over the years, they [the IDF] tried to hide the matter, in order to not sow fear and terror among the residents along the northern confrontation line. We warned a long time ago that tunnels dug over the years reach the border and all that remained to do was to dig the last few meters and cross” the border defenses. The IDF refused to say Tuesday how many tunnels there are or how far they reach into Israel. A government official said the operation was expected to take weeks. Azoulay, the mayor of Metulla, was a former officer in the IDF’s northern command engineering units. In the past he had claimed there were no tunnels due to the difficulty of digging through the rocky terrain, the Ynet report said. The Israel-Lebanon border has remained largely calm since a 2006 war between the IDF and Hezbollah that saw thousands of rockets pummel northern Israel. While there have been a number of border flareups since then, they have almost all targeted Israeli soldiers operating near the fence and have been quickly contained. 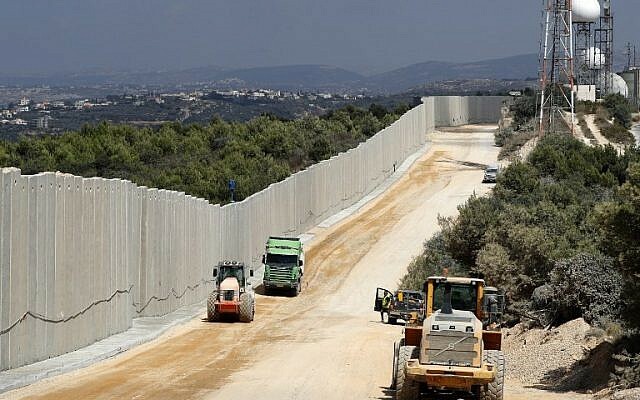 The barriers are designed to serve two main functions: protect Israeli civilians and soldiers from sniper attacks, and prevent infiltration into Israel by Hezbollah operatives. According to the IDF senior officer, approximately seven years ago, Hezbollah created a special forces unit — known as the Radwan Unit — specifically tasked with crossing into Israel and causing as much mayhem and destruction as possible both for the sake of the destruction itself and for the “symbolism” of having troops carry out attacks inside Israel. The operation came as tensions on Israel’s northern border have ramped up in recent days and hours after Prime Minister Benjamin Netanyahu traveled to Brussels for a meeting with US Secretary of State Mike Pompeo to discuss Iran and security challenges on Israel’s northern border, likely referring to Hezbollah. Israel has long warned that it believed Hezbollah planned to conduct cross-border raids in any future conflict, with the specific goal of attacking and conquering a civilian town near the border.